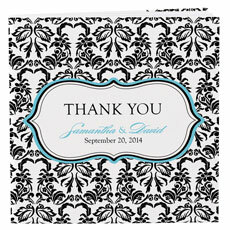 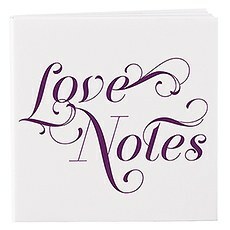 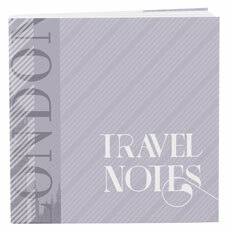 Small notebooks for big ideas, personalized notepads are a perfect pocketsize wedding give away. 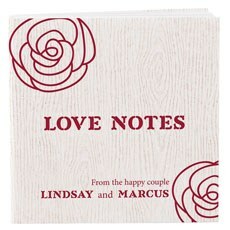 Our miniature notepad party favors tick a variety of boxes - practical, personal, sentimental and fun! 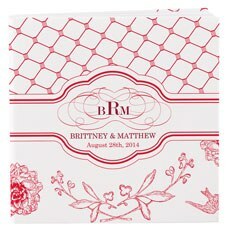 The Knot Shop has a range of customizable notepads that will light up your table top decor and add a charming personal touch. 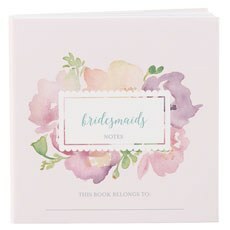 Choose from a number themes and run with them - whatever wishes your heart desires, you will find it in our large selection of cover styles! 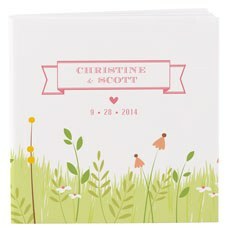 From whimsical and romantic to fun and festive, there is a customizable notepad that fits your party's theme and colors - as well as your personality!For the flower lover or a spring party that is brimming with buds, our "Homespun Charm" notepad cover adds a green, fresh take on a cover design. 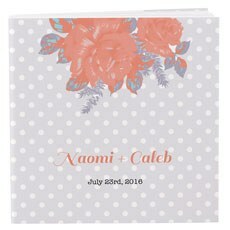 Or consider our "Garden Party," "Retro Rose," "Zinnia Bloom," "Floral Print," "Floral Trellis" or "Modern Floral" book cover choices. 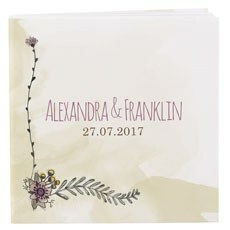 These rich, lovely colors and blossom cover styles will be the perfect fit for a wedding that has a focus on the verdant beauty of flowers!Do you prefer damask drama? 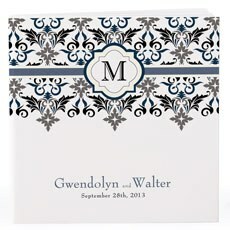 Our "Love Bird" damask or our "Lavish Monogram" offer a classically sophisticated design that will add a beautiful addition to any decor.Wine tasting party? 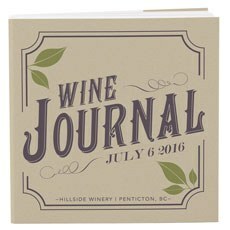 Encourage your guests to jot down notes about their favorite elixirs in their personalized "Vineyard" notepad. 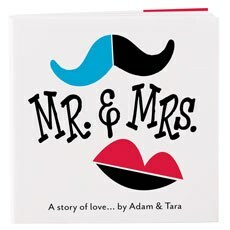 Or add vibrantly fun color and charm with the "Penguin Couple" or the "Mr. & Mrs. - A Story of Love" cover.Each of these charming notebooks offer 200 blank pages, and some assembly is required. 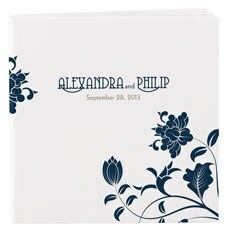 Personalize colors, print and names to give your guests a notepad that will help them remember your fabulous party long after they venture home! 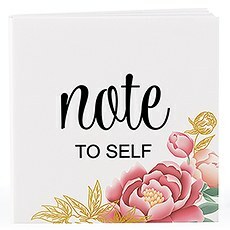 Attach a pencil or pen with a pretty string and encourage your guests to leave you notes, encouragement or advice!Our lovely notepads offer an affordable party favor that will be a practical yet fun addition to your tables that your guests will absolutely adore!